According to the 2014 ICT Facts and Figures report by the International Telecommunications Unit, approximately three billion, or 40%, of people worldwide are using the Internet. In Africa however only one out of ten households are connected. Africa might have been the last to come on board and join the international connected community, but as figures show, household Internet access in Africa continues to grow at double-digit rates with 18% in 2014, twice the growth of the world average – and business isn’t far behind. With the fast pace and significant impact that technology is having on business, the ICT sector in Africa is not only connecting Africa to the rest of the world, but driving innovation in the business space like never before. SAP Africa recently announced its plans to invest US$500 million (approximately R6.1 billion) in the continent, with a specific focus on driving technology and innovation. As part of its offerings, its brand new state of the art enterprise software, S/4HANA, will ensure that African businesses stay ahead of the game. Talking about the exciting new product and investment in the continent, SAP Africa CEO, Pfungwa Serima, says ICT is probably one of the most important areas for investment on the continent right now. “Seven of the world’s fastest growing economies right now are in Africa. More than half of Africa’s population is under 20 and, within 30 years, the continent will have a larger working age population than China! The implications are significant and the African market is unprecedented in its growth potential, scope and readiness to innovate. SAP Africa strongly believes that now is the right time to take operations and engagement to the next level. “Businesses throughout Africa are clearly rethinking the way they are doing business and embracing innovation; how they enter the market and what they need to do to expand their global business presence. What they all have in common is that they need a trusted innovation partner to help them effectively support their business goals. SAP is eager to expand its own business in Africa to meet the growing customer need that exists for the unique and innovative technology solutions only we can provide,” Serima told BBQ. As Serima explains, their investment in the continent beyond its existing African investment will enable them to deliver cutting-edge innovation in focus regions, provide better localisation, as well as more talent to customers and partners. He says the key here lies in helping Africa develop crucial skills-sets and subsequent employment opportunities. Their new flagship offering SAP S/4HANA is a next-generation business suite built on the most advanced in-memory technology platforms. It delivers massive simplifications which include customer adoption, data models and business processes, and also incorporates the latest innovations in terms of ‘Internet of Things’, Big Data and business networks among others, aimed at helping business of all sizes simplify in a complex, ever-evolving digital and networked economy. “SAP is redefining business computing across the globe and Africa is a critical market for SAP. SAP S/4HANA’s unprecedented innovations and simplification, combined with the company’s more than 40 years of experience across industries, presents a tremendous opportunity for forward-looking African businesses. With SAP S/4HANA, we are merging the integration capabilities of ERP with the speed, flexibility and massive innovation of SAP HANA. We are very excited about what this means for African business!” Serima enthuses. Enterprise Resource Planning (ERP) software is the terms used to describe business process management software that provides an organisation with an integrated set of applications with which to manage the processes related to back-office functions, technology, services and human resources. Serima says they have now grown beyond just being an ERP provider and has integrated Cloud offerings and points out that on a vast continent like Africa, with many of its businesses finding themselves geographically dispersed, the challenge to stay connected and manage business in real-time is a stark reality. According to him, SAP believes Africa is the first frontier for business today. “We believe that African businesses with the right mindsets can leapfrog legacy systems and quickly adopt the best innovative solutions which will simplify their technology, simplify their processes and decision making and quickly provide ROI (return on investment). 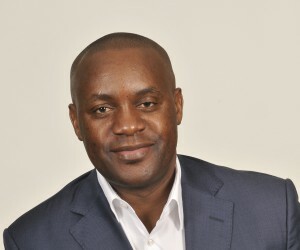 To stay relevant and competitive in a market such as Africa, which is at the cusp of even further growth, businesses simply have to adopt the best technology and solutions to enable them to compete with their international counterparts,” Serima says. SAP Africa has seen fantastic development in the adoption of technologies such as HANA, Mobile and Cloud on the African continent. According to him, many people are saying Africa is not ready for these innovative technologies, but that they strongly disagrees. “To keep Africa healthy and to grow, Africa needs healthy businesses. And African businesses should support one another to create, if you like, a connected and innovation-driven continent,” he says. Serima highlights that this is all part of the connected nature of business nowadays. There is no getting away from the connected nature of it he says. With technology nowadays, Serima says every single business, regardless of size, has the ability to tap multiple networks and achieve remarkable results. “African business is no longer governed by physical boundaries and constraints of yesteryear. These have been transcended through technology that has enabled them to connect, transact and compete across the continent and indeed the entire globe. “A strong drive in global consumerism has also forced traditional service providers to reconsider their offerings – even to the extent of changing business processes and revenue streams. It is now a buyer’s market out there, and to be successful, you have to satisfy the strong demands of a technology-savvy generation of customers,” Serima says. Serima also recently spoke at the Re-Imaging African Business event hosted by SAP Africa in Sandton. 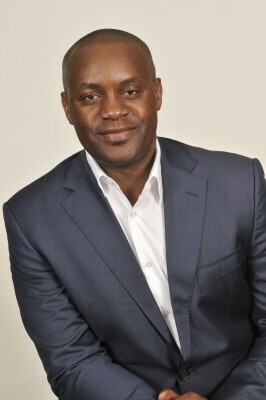 When asked what re-imaging African Business means, he told BBQ that, “It simply means introducing the solutions and technologies to the African market which will enable them to redesign their businesses according the new paradigm of possibilities these solutions deliver.” As an example, Serima mentions how SAP S/4HANA will drive business innovation with simplicity by connecting people, devices and business networks in real-time to support the development of new business models. So how does the ICT industry drive globalisation and how does this impact Africa? Serima says globalisation is defined as the ability for companies in different parts of the world to compete on more equal footing. He says it also allows companies to diversify operations to the best candidates regardless of previous geographic limitations. In Serima’s opinion, ICT is the single most valuable enabler of globalisation through powerful technologies like Cloud, Mobile and Analytics. “Traditionally technology has been treated in a non-globalised manner. Though technology can easily transcend boundaries, it has been treated in manners that cause silos and ring fences. The truth is that today's connected world has no time for that. It is rare that any company can afford to focus on a specific network. Instead networks have now grown homogeneous. To use a simple example, users rarely only use Facebook. Most use Facebook, Whatsapp, numerous websites and more, with little concern about overlap. There is no interest in a system that forcefully limits options. The African ICT sector is not without its challenges however. According to Serima, the availability of skills is a critical issue that the ICT sector faces on the continent. To address this, Serima says they have the Skills for Africa programmes which are encouragingly gaining momentum and with the support of customers and partners, graduates are being successfully absorbed into the workforce. These skilled people, in the main economic hubs of Africa, will ultimately enable governments and the private sector to improve the way the hubs do business across the continent and ultimately the world, driving prosperity through job creation. On-going financial support from leading international funding organisations will allow these programs to be run on a regular basis and ultimately benefit many people and their families. “We also encourage more ICT organisations to rally to this cause and align efforts as such good work is happening in pockets and, if better aligned, a great deal more could be achieved,” he says. So, on an international level, why is it important for Africa to find solutions to its ICT challenges, and without wasting any time? “Africa needs to forge ahead with its innovation agenda and the world needs it too. For that, we all need to drive adoption of connectivity and cloud technology to enable us to effectively conduct business like the rest of the world does. This is the only way in which Africa will become truly competitive on all levels of business with the rest of the world. The larger issue is what the innovation agenda can mean for Africa’s economic future. This cannot be under-estimated,” he says. Looking at how the investment will advance the Smart Cities concept on the continent, Serima says at the heart of it all is the citizen and that smart cities are simply well-connected, optimised environments, almost like connecting various departments within local government to each other and ultimately to the citizens, in effect creating a nervous system within a city. In Serima’s opinion, the recipe for success in this context is to have the right technology available as well as skilled individuals employed in governmental departments to drive citizen-centric service delivery.